Alternative Home Construction Workshop; find out what's happening in B.C. Seminars and workshops are an exciting way to get immersed in the building technique of your choice; with more people interested in learning hands on, and meeting like minded people on a project you can get real information and experience right on site. 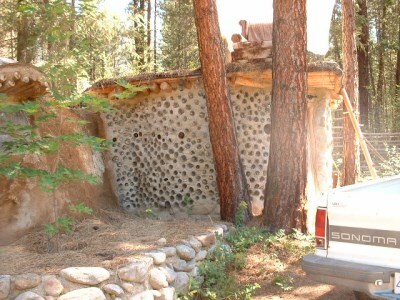 Courses can be small and intimate, or larger and dynamic; some enthusiastic builders have erected an entire house on a weekend or two; cob, that hands-on building technique using mud and straw, mixed by foot is a fun and spirited method of building a house or dwelling. Timber framing has long been a social event, from long ago barn raisings, to present day hybrid projects with structural beams infilled with straw bales, or cob. The finishing touches can't be ignored; from greywater systems, to earthen plaster, the interest in all things sustainable is growing by leaps and bounds. Share the wealth, get involved. If you know of a course, workshop or seminar on alternative building, using natural materials and finishes anywhere in British Columbia, let us know here; it's best if you know of the contact website, phone number or where to get more information. Pictures are great too! Do you know of any Alternative Home Constructions workshops or seminars happening in B.C.? Tell us all about them here; spread the word!